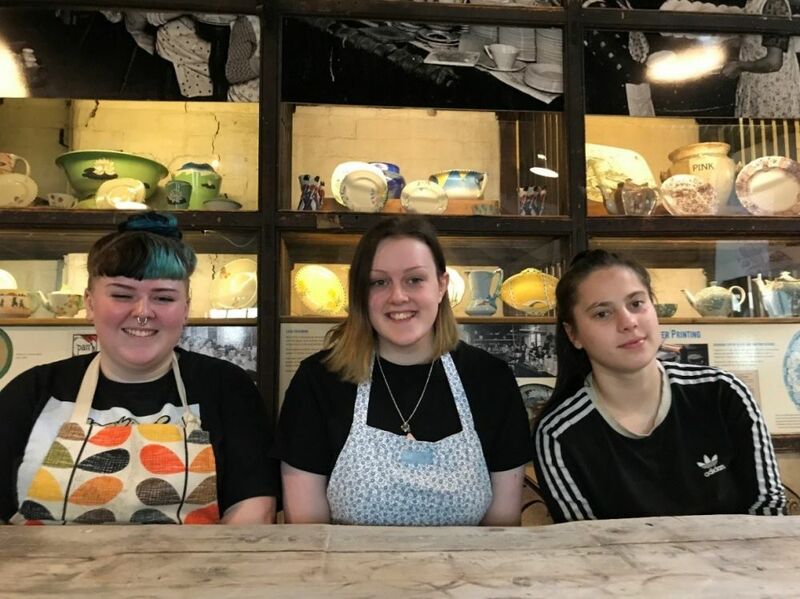 The famous Burleigh Pottery, part of Denby Holdings Ltd, are committed to future proofing their business with modern City & Guilds Level 2 apprenticeships. By working in close partnership with local OFSTED grade one training provider Axia Solutions Ltd, part of NSCG, they have recruited four new apprentices in the last seven months. Each new apprentice will not only be trained in one highly skilled area of the manufacturing process, but they will also to be trained and so multi skilled in a variety of other areas of ceramic manufacturing. Their learning journey will not only enable each apprentice to have the up to date skills and knowledge to understand the many elements of ceramic manufacturing, but it will also give the company a more multi-skilled and so flexible workforce for the future. “I am enjoying knowing that the skills we are learning are so unique that they will help me with my long-term career, as only a very few people acquire them. These skills helps the company attract many high quality customers, which will secure my own long term employment and also keep ceramic manufacturing in Stoke on Trent”. Apprentices; Grace Austin, Megan O’Rourke and Megan Ferriday.